First of all, I would like to apologize for the gap in postings. First, it was due to the Thanksgiving holiday, and I was away for a while. Not too long after I had returned, I had received some awful news – one of my younger brothers had died due to suicide. I was numb with shock, and could barely put a thought together, let alone words on paper. At least now, I am back. 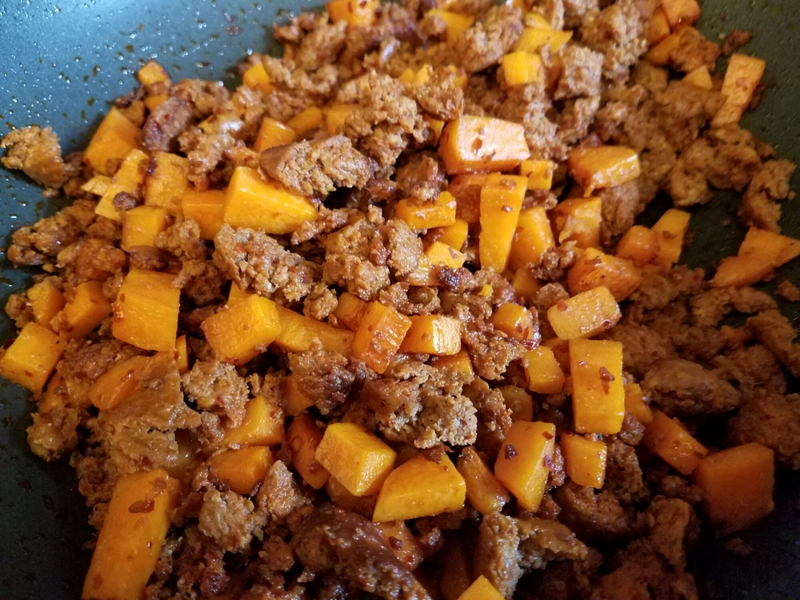 I wanted to share a recipe that we have in the family that I had also shared with my brother, Christopher. After rolling the enchiladas (as you will read about shortly), we started doing the “Little Monsters” dance from Lady Gaga’s “Bad Romance” video with mole on our fingers. We were very silly and it was a fun time had by all. This recipe brings a lot of good memories for me (in addition to the one I just shared about Christopher), and I hope that it brings a lot of good memories for you as well. 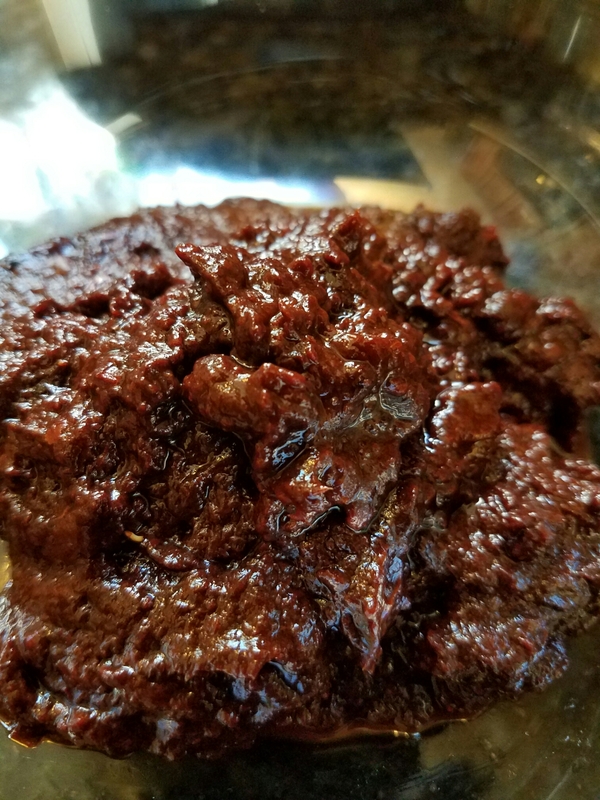 Dried Chile Ancho and either Chile Guajillo or Chile Pasilla (one package of each, 1:1 ratio). Brown Sugar (1 tablespoon or to taste) – bonus points if you use the Mexican brown sugar! It may be advisable to roast chiles on a dry saucepan in order to get more flavor. Boil water in a pot. Once it starts boiling, add chiles and let it boil for 30 minutes. Take off heat, drain and let cool. (NOTE: if you have a food mill, you can just drain chiles and place in food mill. The finished product should be a paste. Discard what stems, seeds and skin is left in the food mill.) Once chiles are cool enough for you to handle, remove stems, seeds and skin as best you can. Place cleaned chiles in blender. Blend Chiles with garlic and tomato paste. The mixture should end up as a thick paste. Add Chicken stock until it becomes a sauce (thickness will be like Sriracha, but not runny like water. This will make the mole easier to handle with the tortillas). Taste the mixture – if it tastes bitter, you can add brown sugar to taste to “neutralize” it. Set aside. Mole – aka Elixir of the Gods! Place a sauté pan on medium-high heat. Empty out contents of Chorizo from sleeve onto pan along with potato pieces. Heat until potato is tender and chorizo is warmed through. When done, set aside. Heat oil in a saucepan – you don’t need a lot, maybe an inch or two deep. 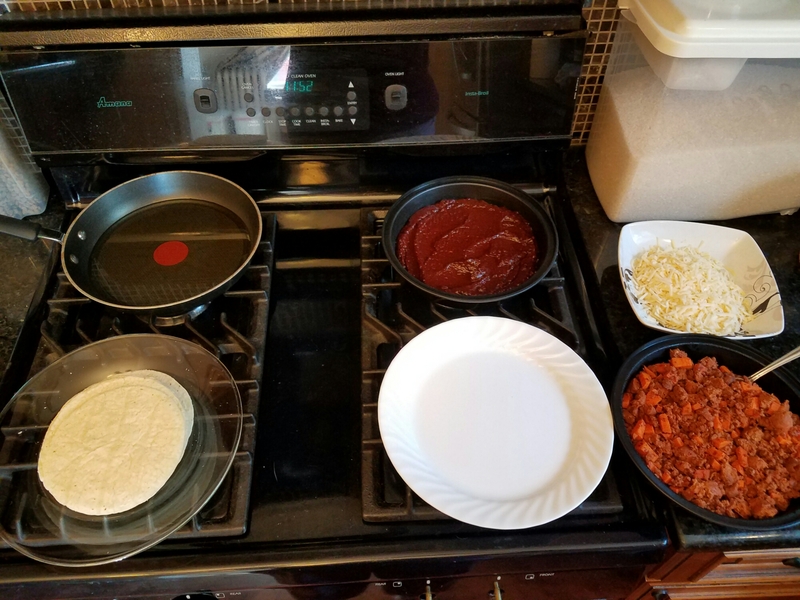 With this step, we will be placing a tortilla in the oil until the edges are crispy (be careful not to leave it in too long or it becomes one big tortilla chip). Once the edges are crisp, remove with tongs, let some of the oil drip off (in a way this helps cool it off some). Then place tortilla in mole mixture. 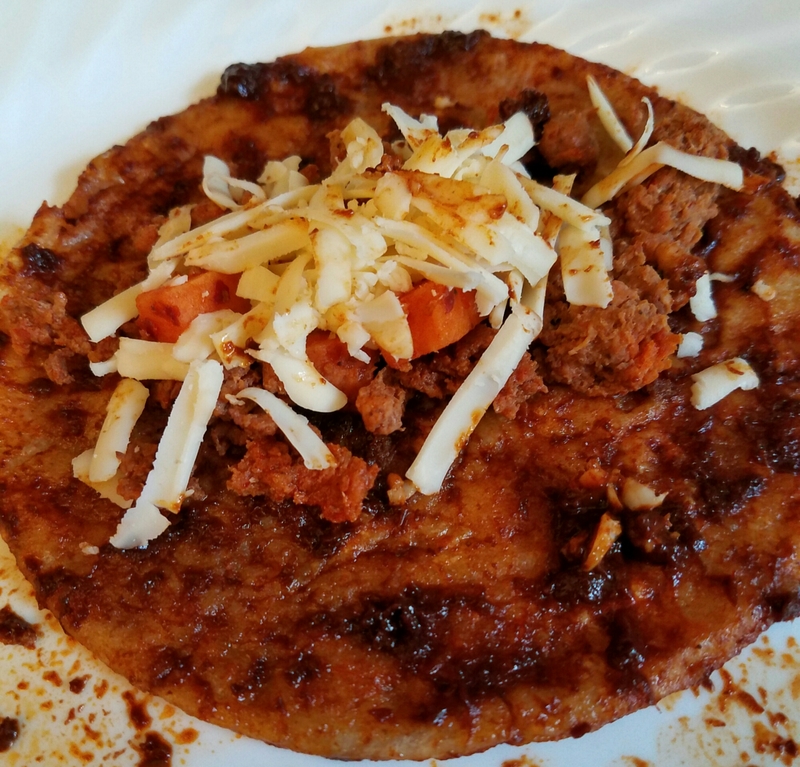 Coat tortilla with mole. Once the tortilla is coated with the mole, place one or two teaspoons of filling (ie Chorizo +/- potato). You can also add cheese and some of the chopped onions as well (use only one teaspoon of Chorizo/potato mixture if you do this. Roll up the enchilada and place into a serving dish. 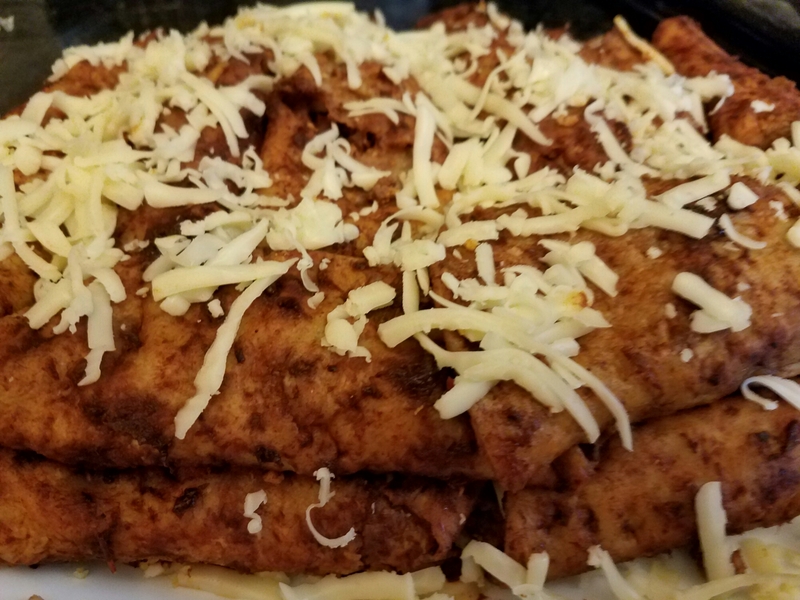 Once all of the enchiladas are rolled up and on the plate, you can garnish with extra shredded cheese. You may also place in 325 degree oven to re-warm before serving. Serve with lettuce and tomatoes as a side. Depression can affect anyone. Please speak to someone if you feel sad, stressed and/or angry. It can be family, a friend, if not your doctor, as long as it is someone that you trust. You are not alone!